An original Nepalese felt atelier opens her doors for you! This felt atelier offers Nepalese women a fair income. 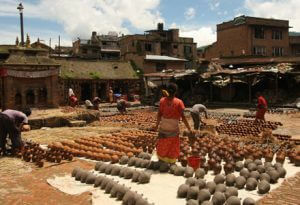 The heart of the ‘ordinary’ Nepalese city life. The Kathmandu of many generations of inhabitants. 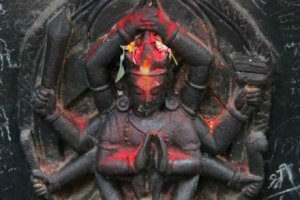 Pashupatinath is the most important Hindu temple in Nepal. 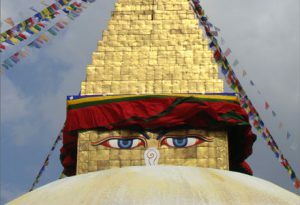 Boudhanath, the largest stupa in Nepal. Swayambunath, also known as the monkey temple. 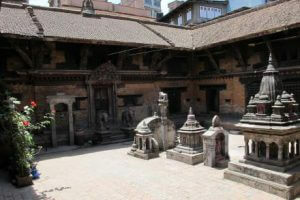 Durbar Square is in the heart of Kathmandu and surrounded by charming old streets. Patan is one of three royal cities in the Kathmandu Valley. It is separated from Kathmandu by the Bagmati River. 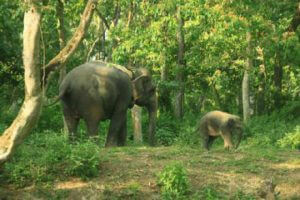 Did you know that there are tigers, rhinos and elephants in southern Nepal? Go between the crocodiles and enjoy the flora and fauna. Dal bhat is the daily meal for Nepali people. Learn to make this traditional and healthy dinner yourself! 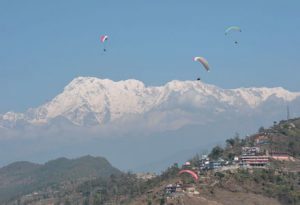 Hovering above the Pokhara Valley near the grand Annapurna Mountain! 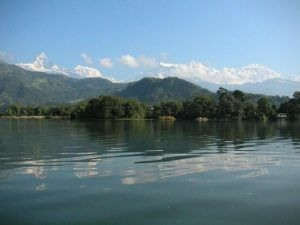 Experience a beautiful view of the Dhaulagiri with Pokhara Lake and Pokhara city at your feet! 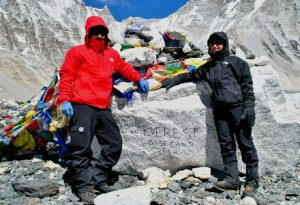 Mount Everest is a “must see” for everyone who comes to Nepal! 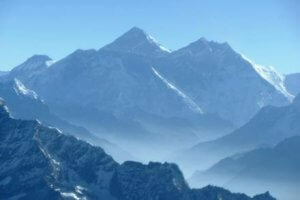 At 8,848 meters, it’s the world’s highest mountain! Nepal is a paradise for mountain bikers of all abilities from beginners to experts. 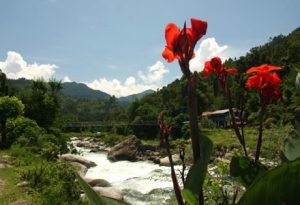 Cycle near the Himalayas, along rivers and waterfalls. With our partner organization in the Netherlands we offer special volunteer travel, youth trips and 50+ trips. Surprising discovery! 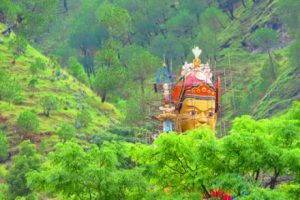 A small, peaceful village, surrounded by the greenery of eight sacred hills. 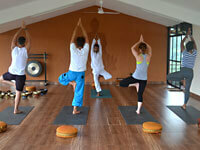 Nepal is the perfect place to practice yoga and meditation. 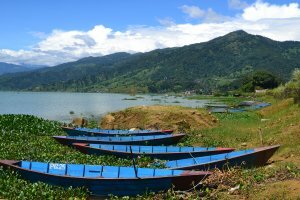 In the green hilly landscape of the Pokhara valley we offer a place for peace and personal level. 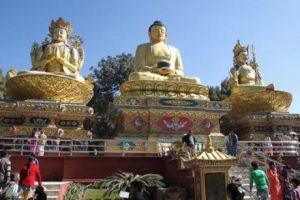 Discover or learn more about Tibetan Buddhism. Age-old wisdom of the roof of the world. 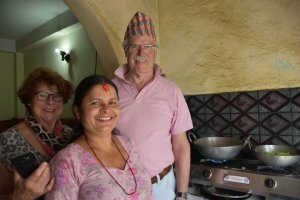 Explore Nepal with a two-week trip and experience the many special faces of our beautiful country. This tour is composed of several completely different “mini vacations”. 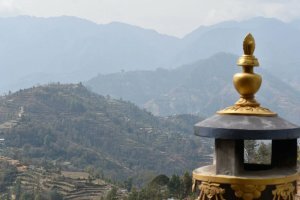 A mini-trekking with a lot of variation on the edge of the Kathmandu Valley. A great hike for the whole family. 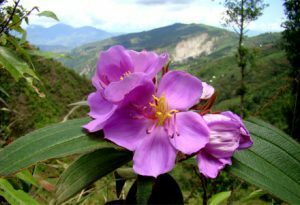 Travel past waterfalls, find the flaming red Canna flowers. 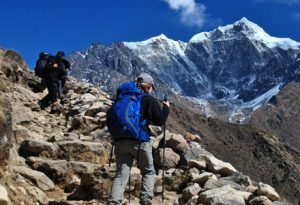 A 3 day trekking with spectaculair views over the Annapurna and Lamjung Himal mountain range. 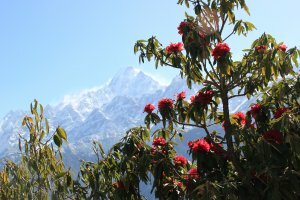 A short and easy trekking in the beautiful foothills of the Annapurna. 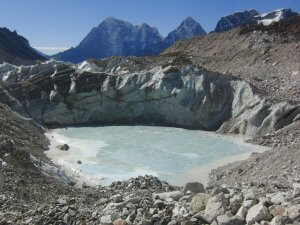 No one can escape the spell cast of the Gokyo Valley with its stunning lakes! 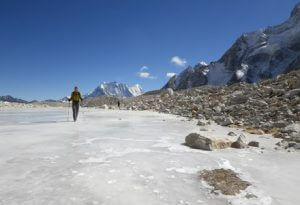 A wonderful journey to experience the real “Himalaya feeling”! 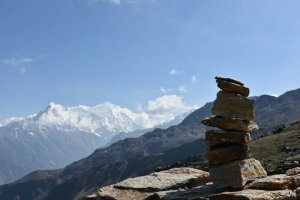 The Jomsom Trek is truly one of the most beautiful hikes in the Annapurna area. 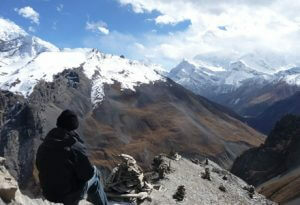 The Annapurna Circuit takes you through diverse landscapes with a wide variety of nature and cultures. 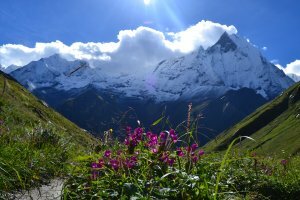 The trek to the Annapurna Base Camp is one of the most beautiful and varied! 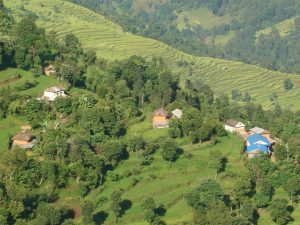 Through woods and friendly countryside, the green luxuriant of the Langtang Valley. 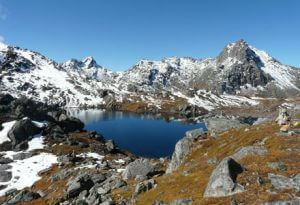 The trek goes through the low mountain range and is also suitable for children. The imposing Laurebina Pass forms the bridge between Langtang and the Helambu route. 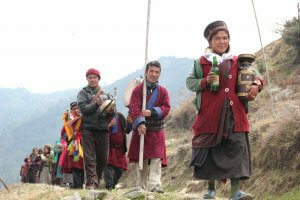 This tour offers an experience through the total wilderness and traditional Tamang villages. 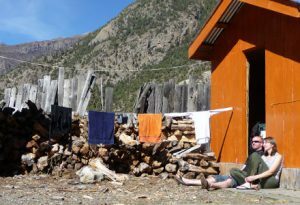 The first part of this route follows the Manaslu Circuit. After Thangurmu, the trail climbs through a wild forest to the Lower Tsum Valley, an area which for centuries was only accessible from Tibet. 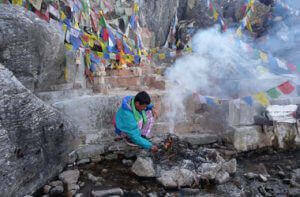 During the trekking you will see the life of the people living in the mountains, an ancient Buddhist kingdom. Special areas that are accessed only by a few foreign guests.